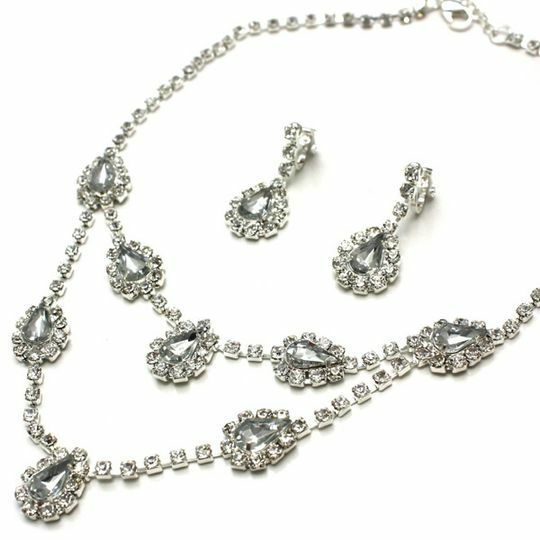 The Silver necklace in this gorgeous crystal jewellery set has a double strand of indulgent slightly smoky crystal tear drops that are surrounded by sparkling clear crystal stones. The necklace chain is encrusted with clutched crystals in its entirety for a flawless finish to any outfit! Necklace length adjustable from 34cm up to 42cm with extender and lobster clasp. Non-pierce clip earrings with a 2.8cm drop.